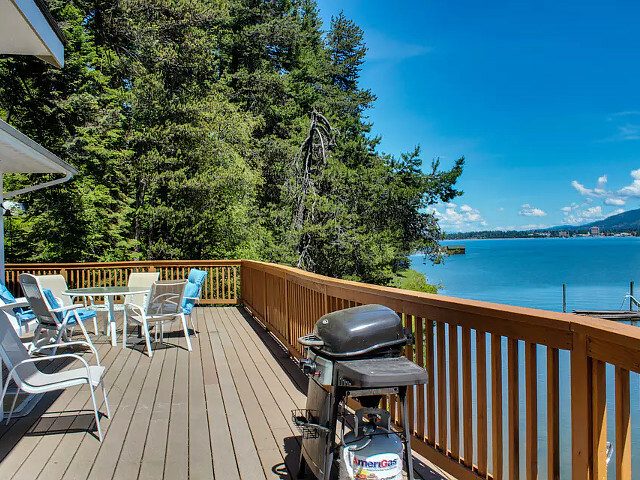 Grand lake front home with stunning views, private dock and two large decks! 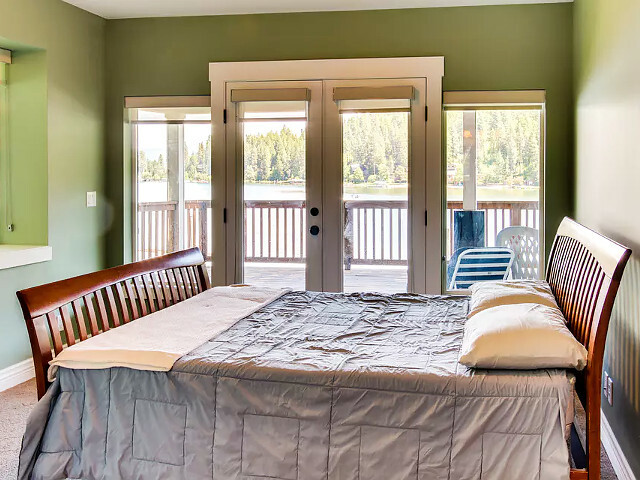 Tastefully done with plenty of space for family and friends, this gorgeous 4-bedroom lake front getaway is the perfect location for your next vacation or reunion. 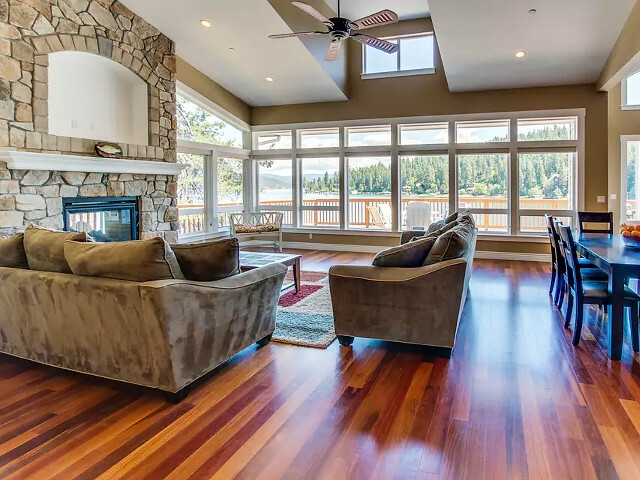 The expansive living room has wrap-around floor to ceiling windows so you can fully enjoy the lake view. 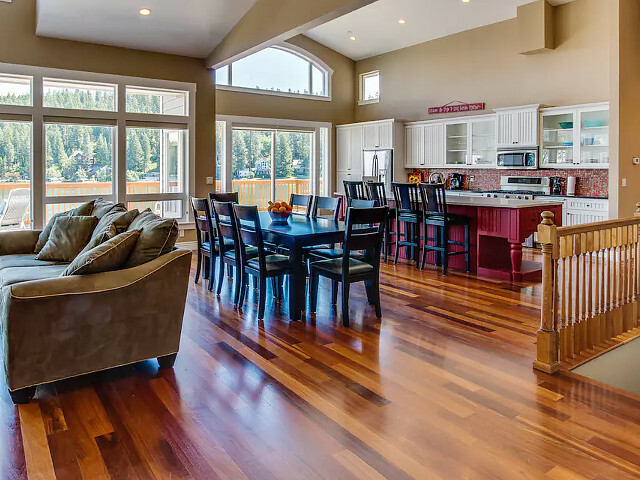 Beautiful hardwood floors and an open-concept make this a great space for entertaining. 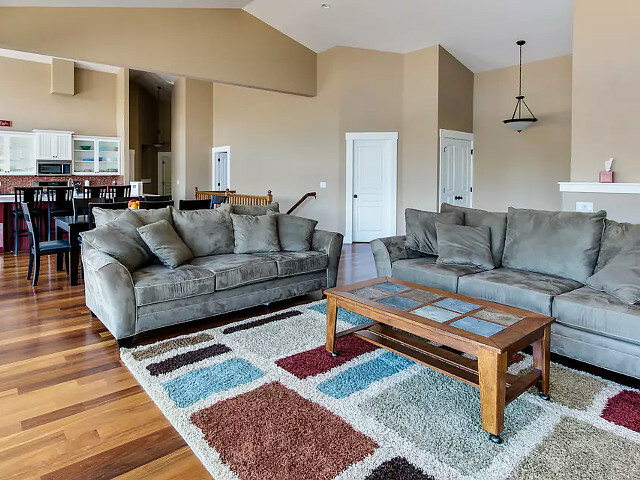 The impressive stone fireplace will keep you cozy on chilly nights and provide nice ambiance. 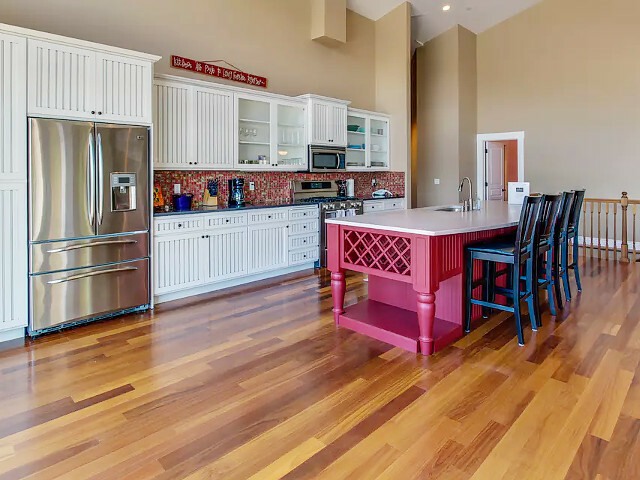 The dining area is just adjacent and includes a long table with seating for eight guests plus four more at the kitchen island. 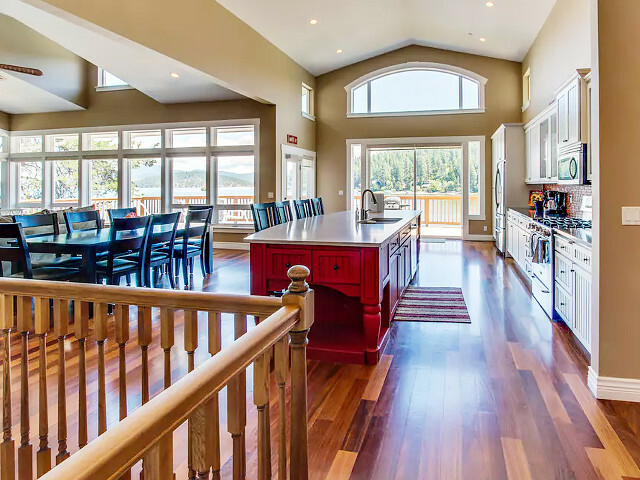 The kitchen is large and open, perfect for the chef in the family. 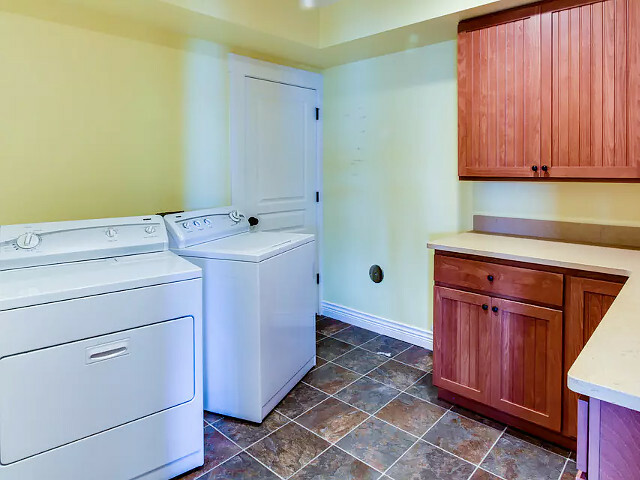 Features include a gas range, stainless steel appliances, abundant counter space including a long marble-topped island. 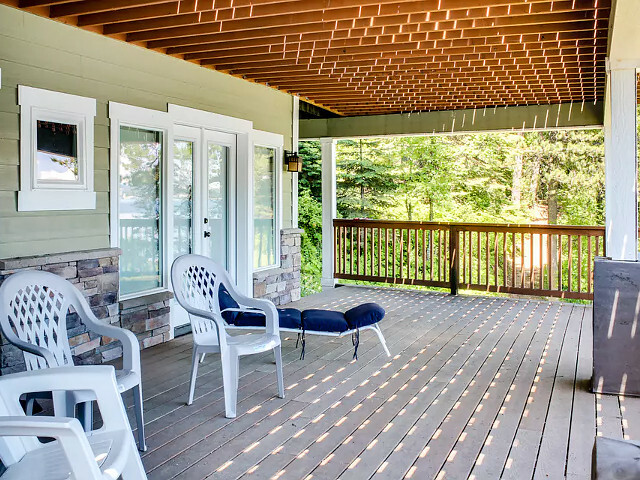 From here, step outside through the sliding glass doors to the wrap-around deck. 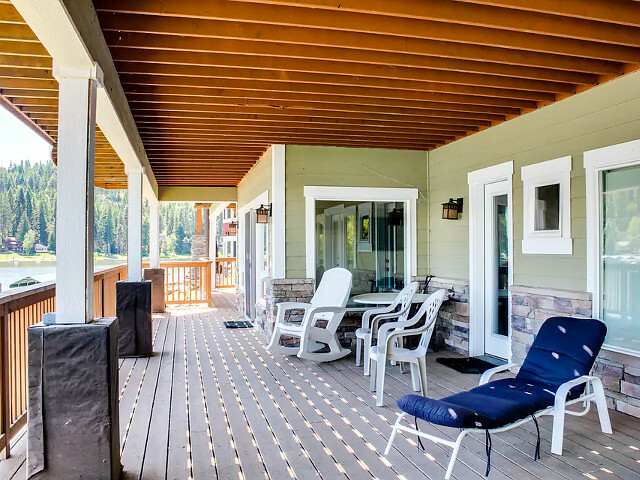 Enjoy relaxing with drinks or BBQ dinner while staring out at the lake. 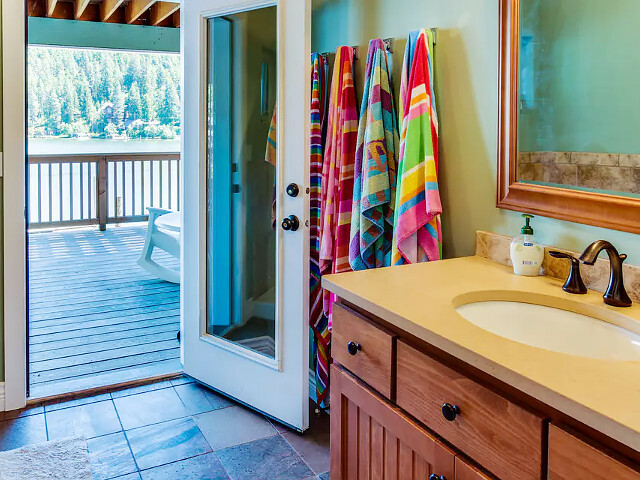 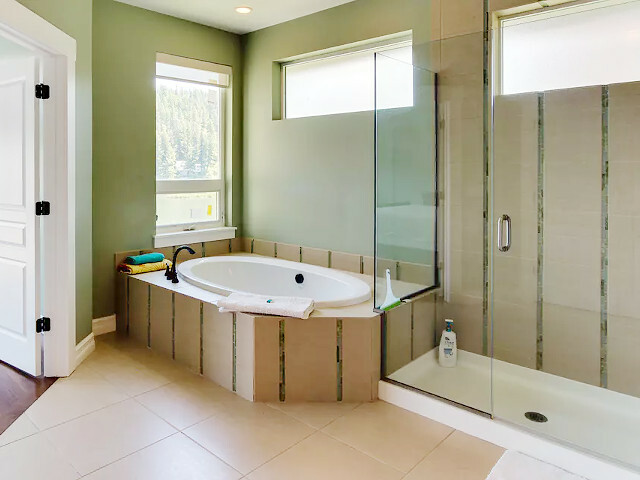 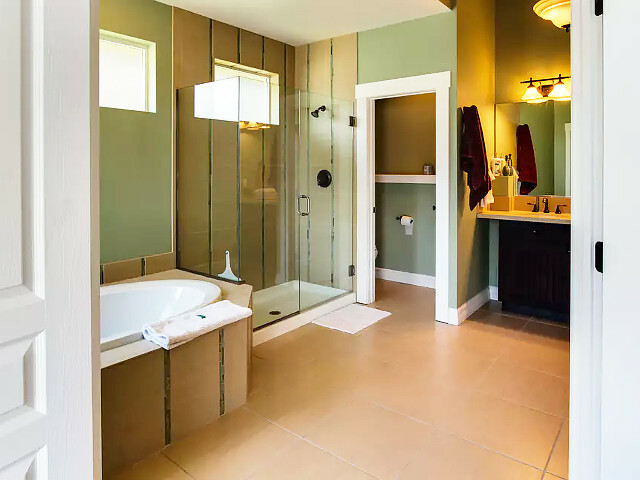 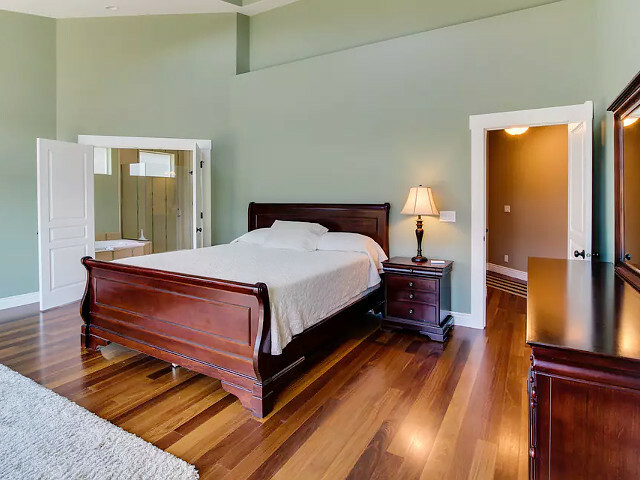 Also on this main level you'll find the Master suite with access to the deck, lake views and a private en-suite bathroom with large soaking tub, separate shower and double sinks. 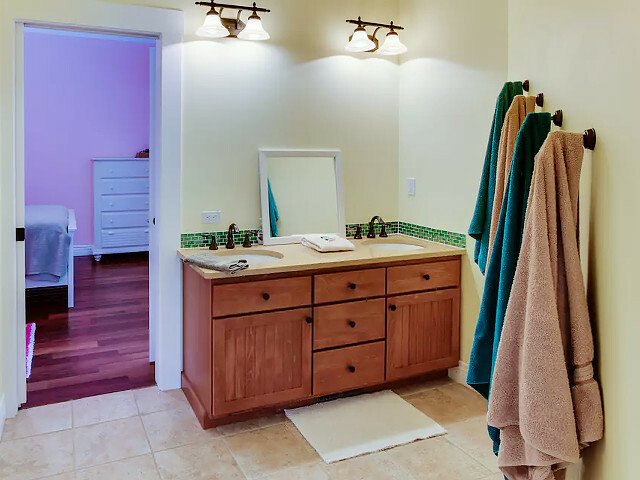 Right around the corner from the Master you'll find two more bedrooms along with a Jack-n-Jill style bathroom. 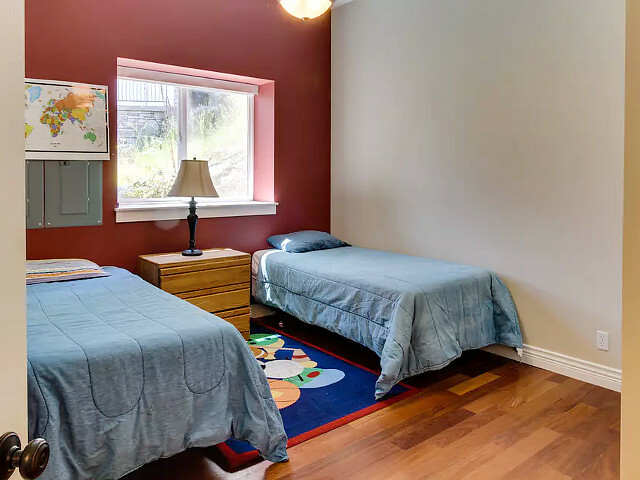 One bedroom has two Twin beds while the other has a Full-size bed. 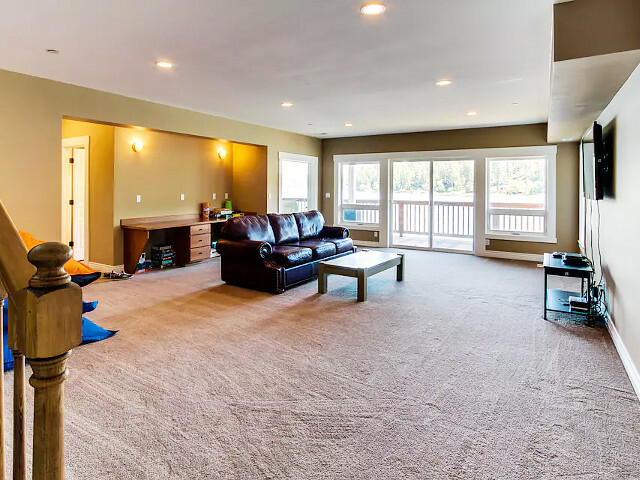 Head downstairs to the bonus/media room, a great spot to hang out and watch a movie on the satellite cable TV or play a board game. 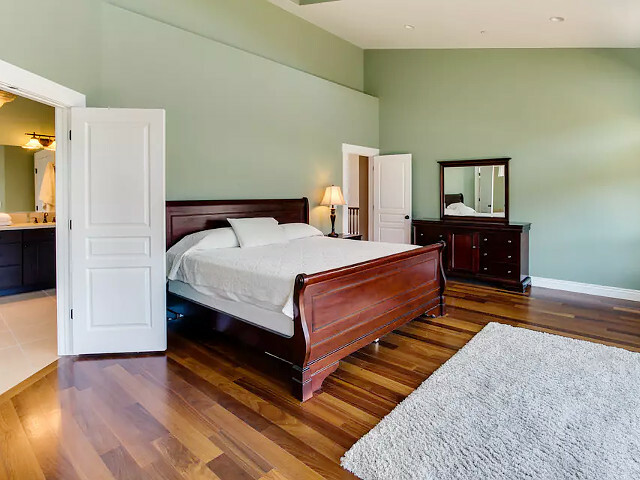 Also downstairs is the 4th bedroom with a Queen bed and private en-suite bathroom. 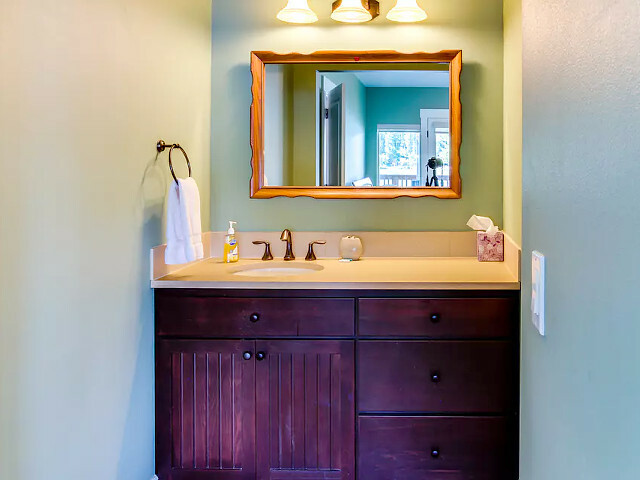 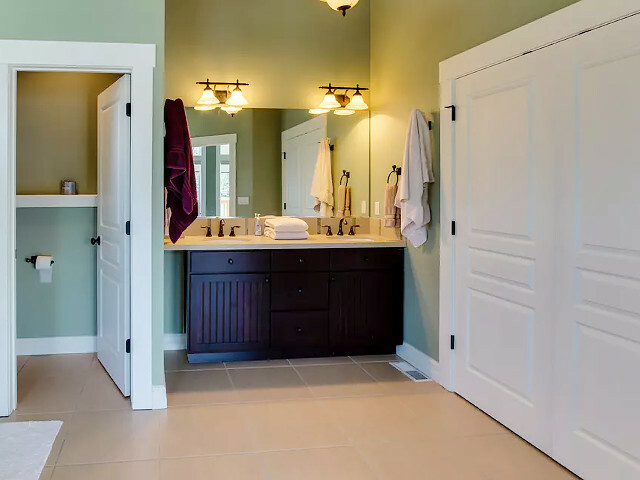 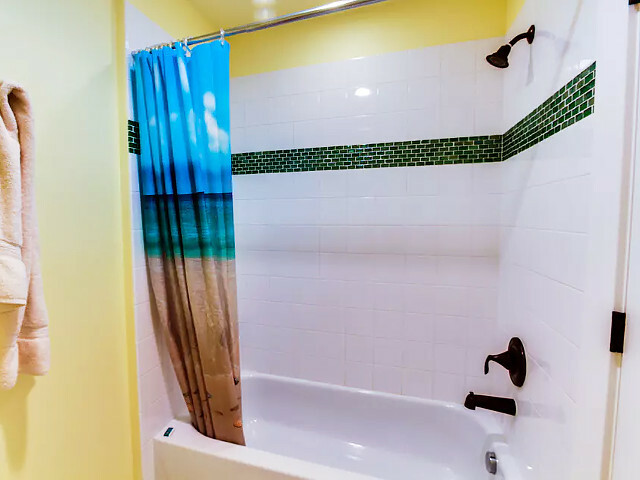 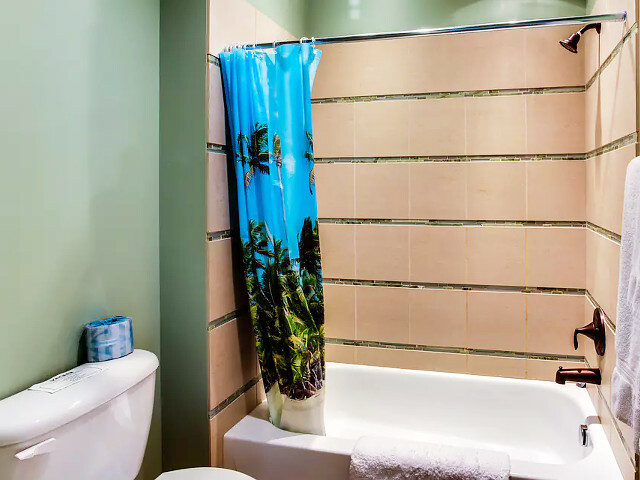 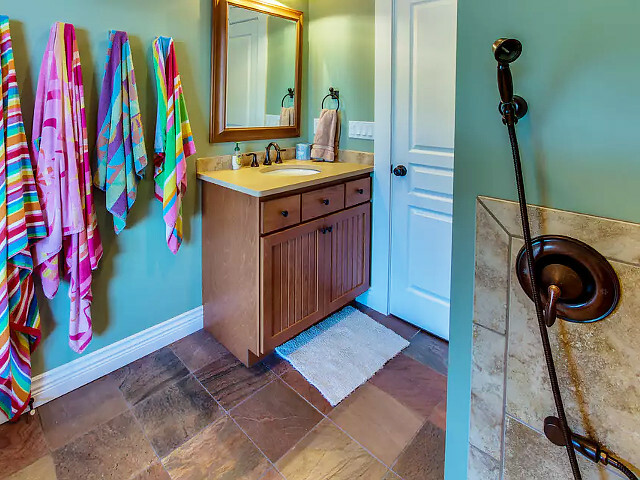 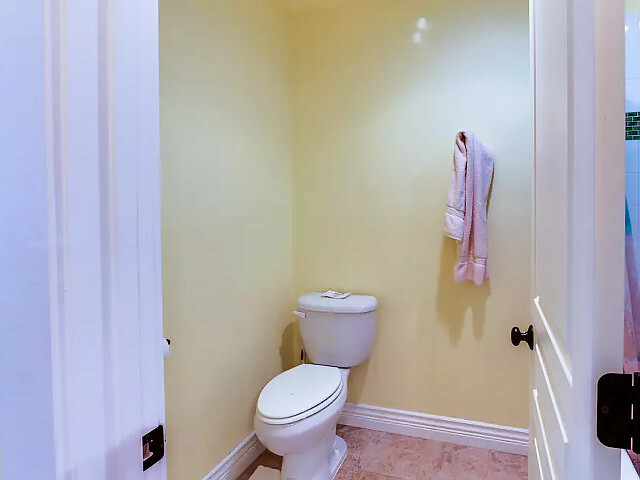 There is a spacious laundry room plus an additional bathroom with direct access from the deck which features an open shower area for spraying off sandy feet before coming in the house. 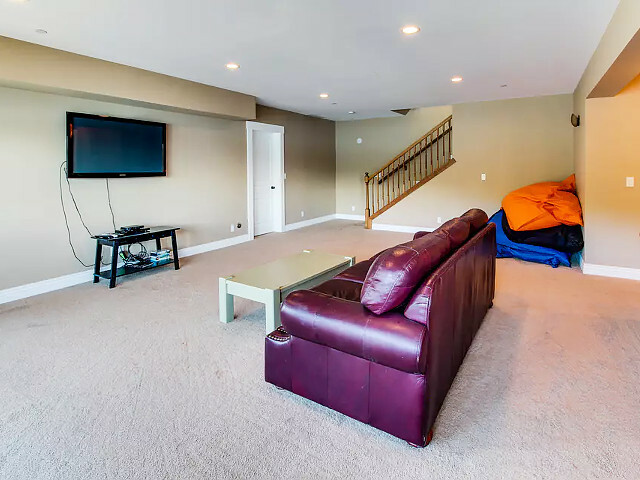 There is also a sofa sleeper for more flexibility, but please note that this home will only accept a max of 8 guests. 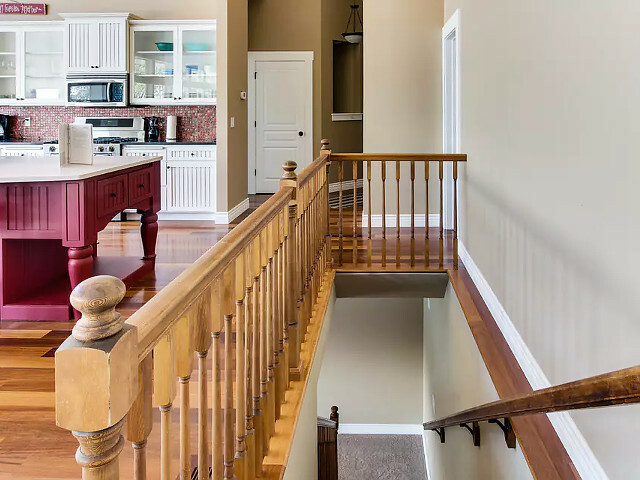 Other great features include WIFI, Dish Network service, an outdoor fire pit for roasting marshmallows, gas fireplace, central A/C, gas BBQ and of course the private dock! 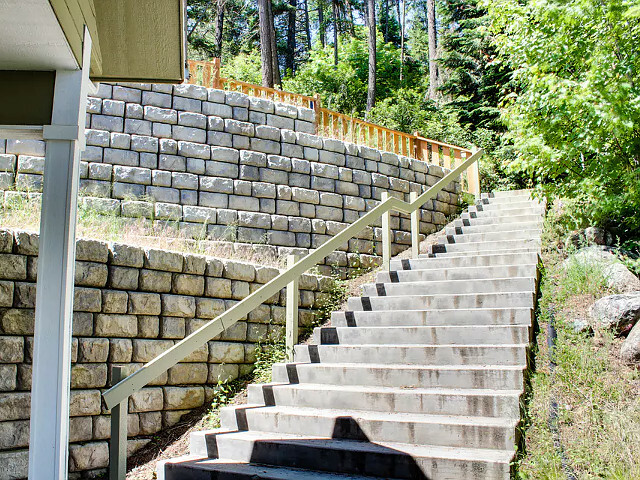 Please keep in mind the path down to the lakefront is unfinished and a bit steep. 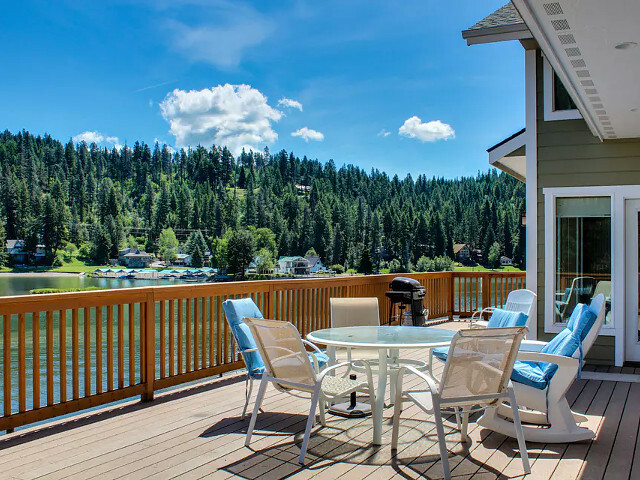 This beautiful home is only 12 miles to downtown Coeur d'Alene (10 minutes by boat or 20 by car). 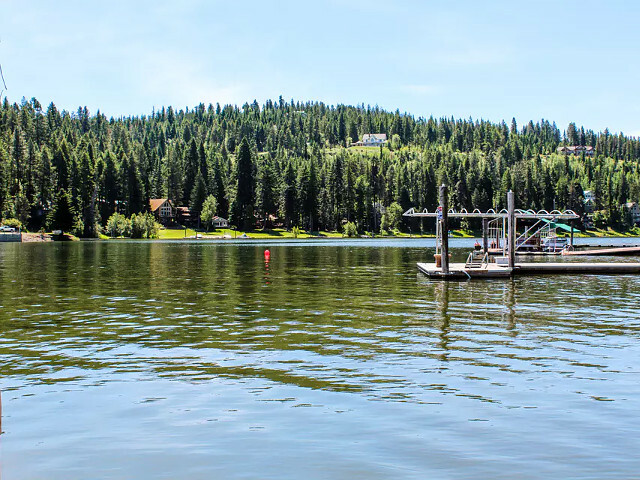 The boat launch and trailer parking is just a few miles away. 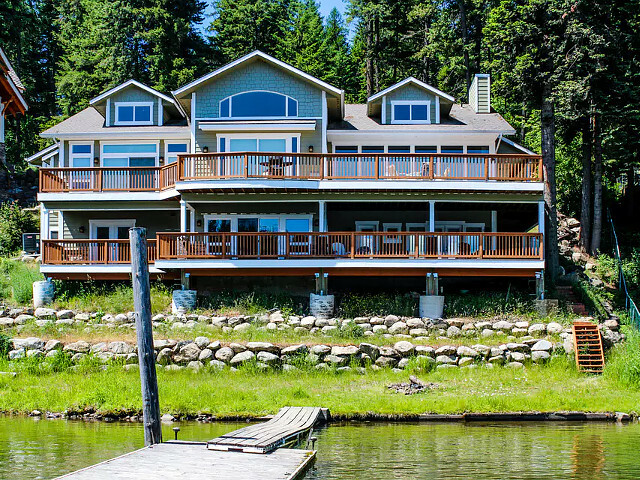 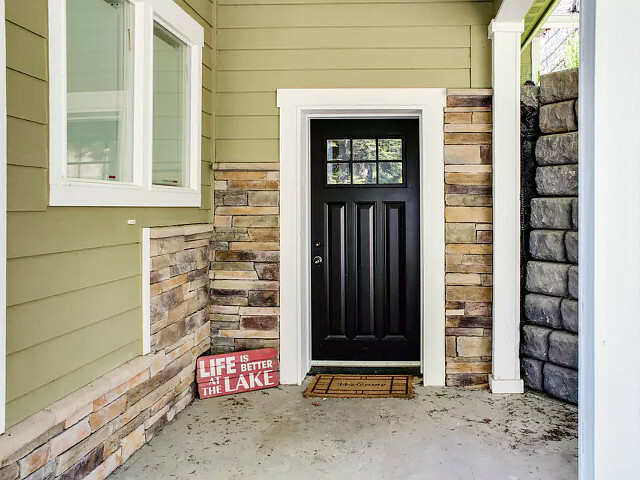 We do not have any current pre-built packages for Beautiful Lakefront Custom - Coeur d Alene . 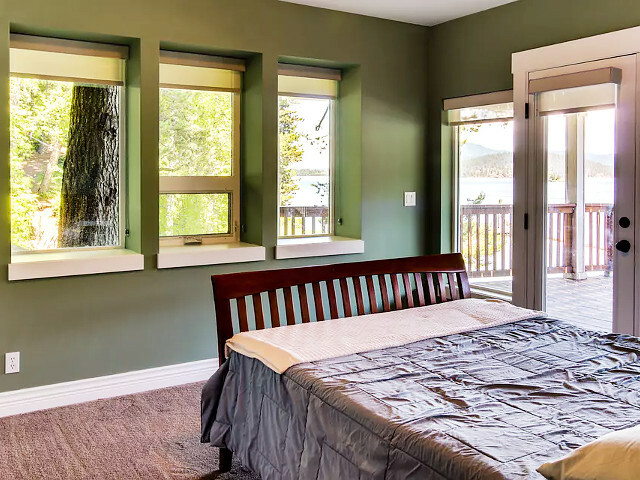 We can save you time: Rather than scouring the web looking for a place to stay in Coeur d Alene let us do it! 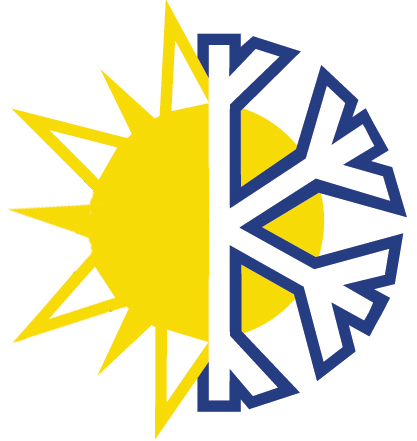 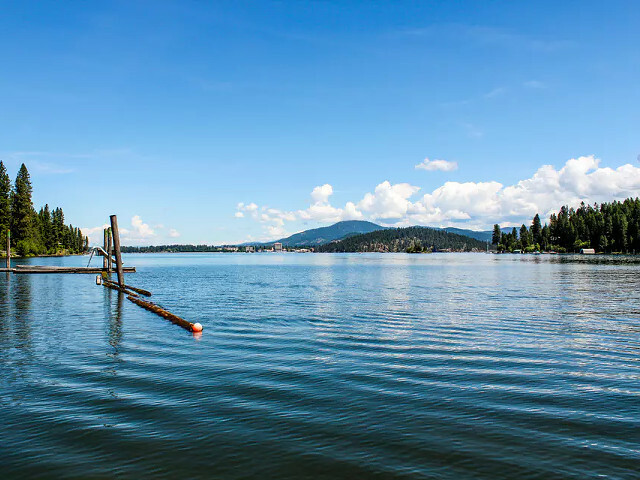 We know Coeur d Alene and can find you a place based on your request and our service is free! 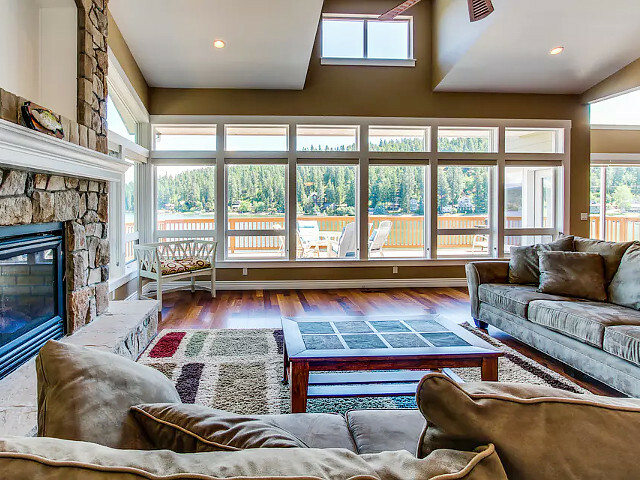 Simply fill out the quote form above and we'll email you a bookable quote with listings in Coeur d Alene. 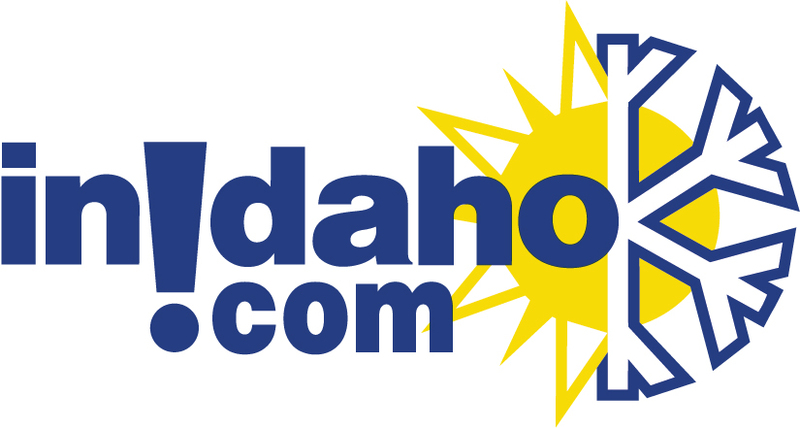 InIdaho has rented Coeur d Alene cabins, condos and vacation rentals for about 21 years and offer the largest selection. 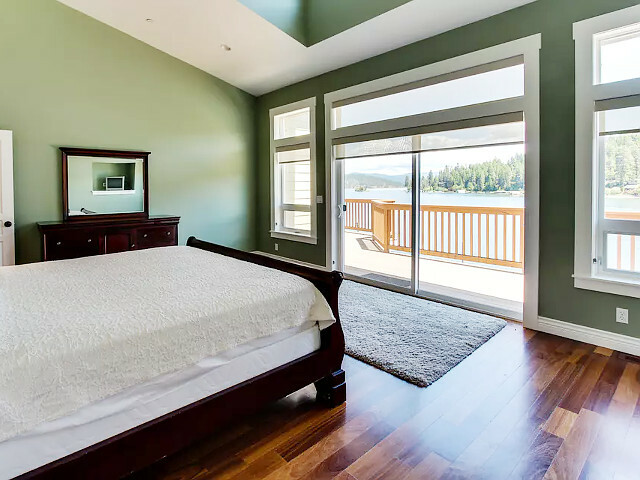 We guarantee the lowest prices for Beautiful Lakefront Custom - Coeur d Alene reservations. 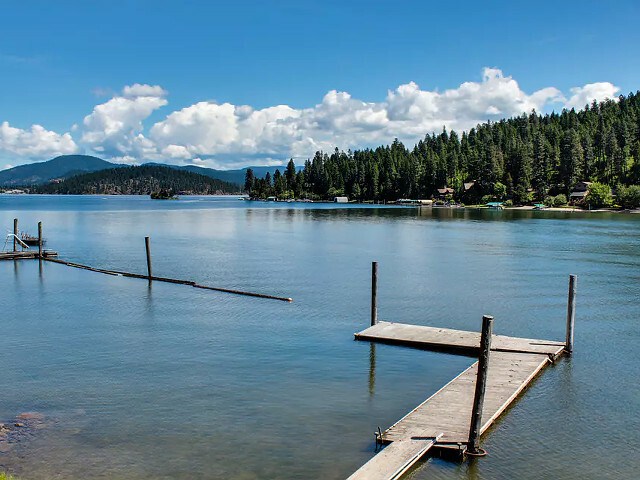 Our local idaho business is staffed by friendly and efficient employees who appreciate that you choose to make your reservations for Beautiful Lakefront Custom - Coeur d Alene with us. 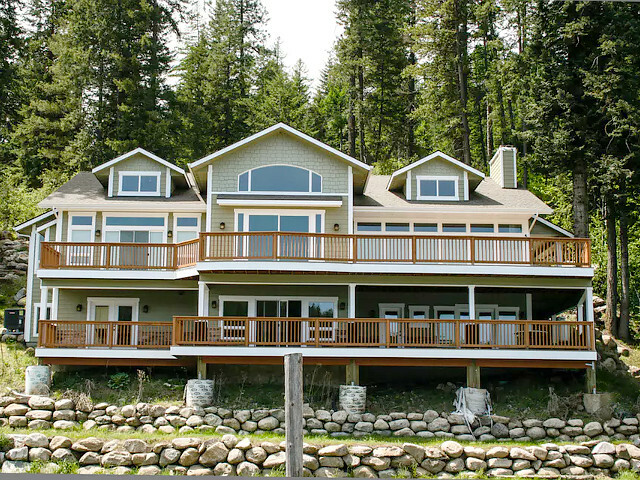 Rent Beautiful Lakefront Custom - Coeur d Alene in Coeur d Alene today - just contact us!